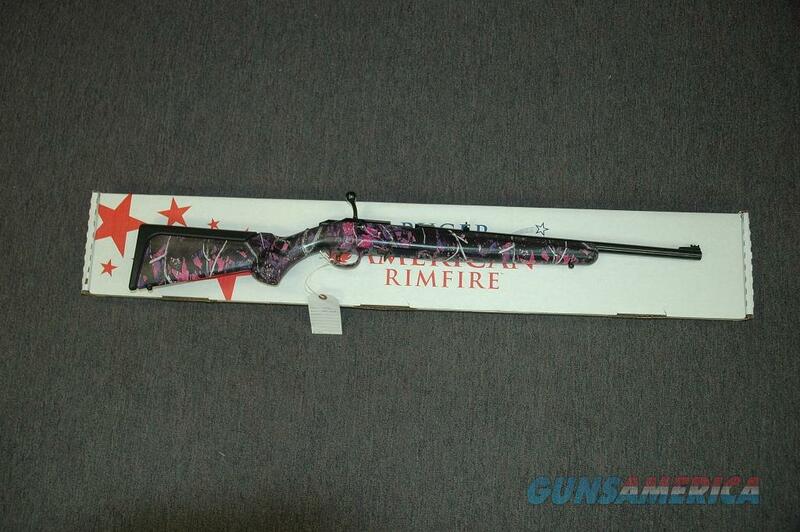 Description: This is a brand new Ruger American rifle for sale chambered in 22 caliber. The barrel length is 22 inches long and comes with a 10-shot magazine. The stock is Muddy Girl Pink. The front sight is Hi Viz and the rear is a flip up. The receiver is grooved for rings. Box and papers included. This item is for sale in my retail store and could be sold while the ad is active. Please ask for more pictures if needed.